Is Business Slow for Your Solo Practice? Here's What to Do. Every solo lawyer knows the anxiety of too few clients and too little business. Lawyers often complain about not having enough time in the day. But when free time actually does come around, they start to get worried. If business is slow, you have to be proactive. For example, it may be time to start contacting past clients to seek a referral. But get ready to be rejected: people generally only want to see their lawyer when something has already gone wrong. Here are a few tips to help you get past your slow business slump. Lawyers are notoriously bad about handling the intake process. Far too often, for example, lawyers will talk to a client and fail to collect contact information. If you need to retain more clients, start by focusing on your intake process. Make the most out of each potential client by collecting contact information, clearly providing your own contact information, and returning calls as quickly as possible. When business is slow, you may need to call people back for referrals. Many lawyers feel uncomfortable about calling people for business rather than waiting for business to call them. But don't let it cause you any unnecessary stress. Keep in mind that lawyer in generally need to spend more time marketing. When reaching out to clients, just consider this part of your marketing strategy. Seasoned solo attorneys I know keep a list of their most fruitful referrals in a log either on an Excel spreadsheet or, more likely, the cloud. If you don't already have one, start building yours today. One by one, call everyone on your list. You should use the phone because emails already flood everyone's inboxes and can easily be passed over, deleted, or sent to the spam folder. You'll be selling yourself and that's far easier to do with your voice than your words. Think about this: wouldn't you have rather jumped straight to an interview with potential employers instead of having to submit a cover letter first? If you already have clients coming in the door, keep them around by cross-selling legal services. Cross-selling is a bit like upselling, except that you're offering clients an entirely different set of legal services. For example, if a client has used you for a divorce, you may suggest that you could help the client with estate planning as well. 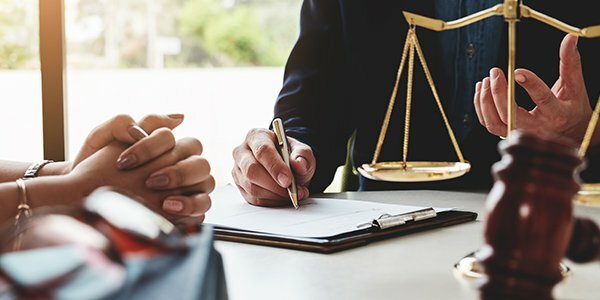 Although this is best for small firms, it can also work for solo lawyers, assuming you have the expertise needed to accomplish the additional legal tasks.